Leonardo DiCaprio has never won an Academy Award, despite all the other ways his work has been recognized he has yet to achieve the highest honor an actor can be awarded from the film industry. It’s a surprising travesty, how such a talent could consistently create excellent, high-selling and acclaimed cinema without receiving the trophy that towers over all other forms of acknowledgment? It continues to enter conversations with each new movie from Leo that comes, the question is asked—will this be the one? The golden man is the glacier to his titanic of a career. Is it necessary for an actor to acquire an Oscar? The same can be said about musicians and a GRAMMY. The GRAMMY’s are looked upon as a badge of honor that tells the world you’ve reached the highest triumph in the recording industry. Does a GRAMMY make or break how an artist is perceived? It’s astounding that despite being nominated 18 times, Nas has never won a GRAMMY. Leo’s relationship with the Oscars is how I view Nas’ relationship with the GRAMMY’s, two incredible individuals that have yet to receive the highest honors in their respected fields. What if they never win, does it matter? 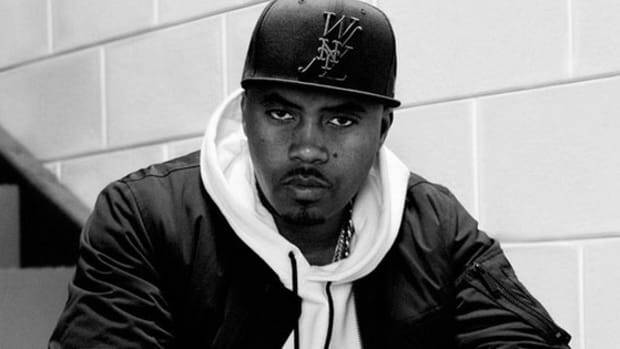 The first time Nas was nominated for a GRAMMY was in 1997, "If I Ruled the World (Imagine That)" was in the Best Rap Solo Performance category. It was a well-deserved placement, the single that cannonballed Nas into the mainstream consciousness. The song is considered a classic, one that has survived the years without gaining a wrinkle. It didn’t receive a GRAMMY, losing to LL Cool J’s “Hey Lover.” Looking back, if social media existed like it does today, I can imagine the outrage this would have caused. Even though LL’s single charted higher than Nas, received a platinum plaque and had Boyz II Men supplying the golden vocals, it just doesn’t contain the magic of Nas and Lauryn. No hip-hop enthusiast would agree with their selection. The verdict doesn’t change the fact one was a commercial success and the other is culturally significant. Accolades are noteworthy but they should never overvalue the good or devalue the great. Yet, every year, The GRAMMY’s are treated as the judge and jury of what is deemed worthy. It’s an imperfect system, like every system where votes are placed by members of a committee that may not be well versed in every genre their voting on. 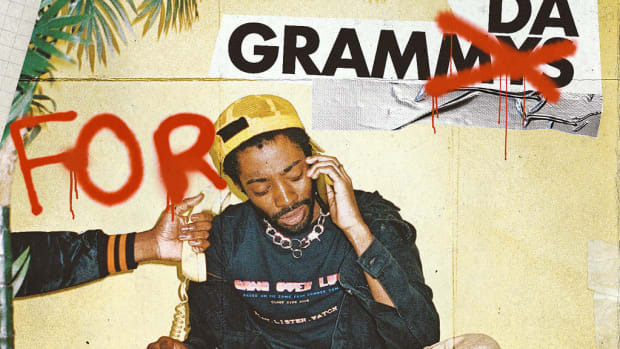 Hip-hop and The GRAMMY’s have always been at odds about winners and losers. Most would say they&apos;re wrong more time than right, leaving fans outraged more often than elated. Despite the amount of criticism they receive for how the hip-hop category is represented, a GRAMMY is still regarded with an esteem unmatched by any other award show. Which is why, every year that Nas is nominated, you are reminded that he has yet to leave a winner. Countless articles have been written and will continue to be written until a victory. Nas has been asked on the red carpet about his incredible losing streak that exceeds the Detroit Lions ‘2008 regular season. Deserving is the word that describes why he should have one. For someone that has gifted ears countless gems, the greatest treasure should be bestowed at his feet. 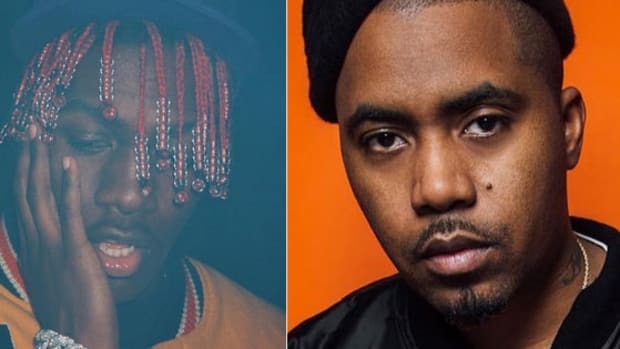 Even dating back to ‘1994, when Illmatic was receiving 5 mics in The Source, The GRAMMYs weren’t acknowledging rap albums, they barely looked in rap&apos;s direction. Does it make the album any less of a classic? Does it alter its impact on hip-hop past and present? Not at all. Sometimes it feels like an artist seeking acceptance from The GRAMMY’s is Kanye seeking recognition from the fashion industry. Nas hasn’t had much luck at MTV either. On six different occasions, he failed to come out on top at the MTV Video Music Awards. 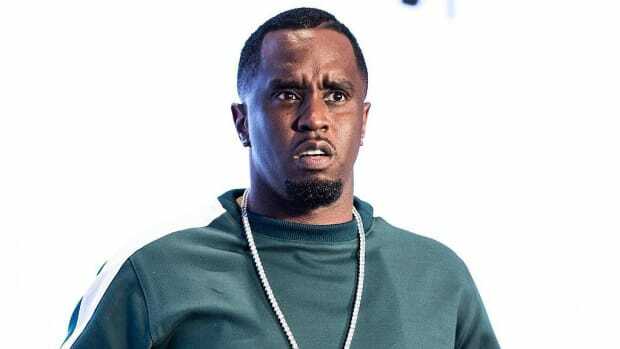 He has won B.E.T’s I Am Hip-Hop Icon Award in ‘2006 and 2012’s Impact Track for his song “Daughters.” Sadly, no amount of B.E.T awards will be equivalent to one GRAMMY in the public’s eye, they are held with two completely different standards. B.E.T is like recreational sports where you get a trophy for just participating, it’s nothing compared to a state championship or something prestigious as winning the Super Bowl. “Daughters” lost at the GRAMMY’s to “N*ggas In Paris” for Best Rap Song. Would winning a GRAMMY change how “Daughters” is viewed? Does the B.E.T award? It’s incredible at what we give value. 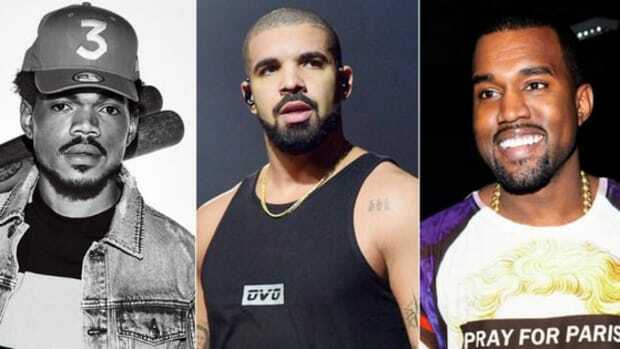 With a career already cemented in hip-hop history, is this one accolade big enough to be a blemish that discards him from being in the same category as Jay Z, Kanye, Eminem, and others who have found success in this arena. I like that the Grammys nominated me. I know the hugest platform for music is the Grammys, it matters. . . but something that huge is never gonna get it right. So it’s okay. It gives me the opportunity to wear a nice suit on a red carpet. 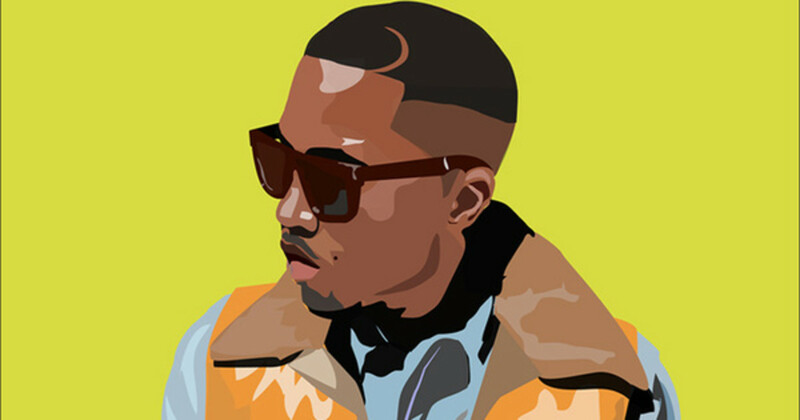 - Nas. Every year, when the nominees are released, The GRAMMYs will have our attention. We will hope for the best and prepare ourselves for the worst. Debates will begin, discussions will get heated, and it’s very easy to get lost in the hype. That’s why being a loser can amount to more conversations than winners, the snubs are what is ultimately remembered. The ‘2014 GRAMMY’s are only mentioned when discussing how Macklemore bested Kendrick. Every year that Nas is nominated and doesn’t win, it’s a shock to the world. Ultimately, it doesn’t define him or his music. Nas shouldn’t be haunted by what he didn’t accomplish, not when his impact transcends the gold-plated gramophone. If you look at his history, he’s always opposing acts that are more commercially successful, popularity is a factory, even though album sales and billboard charts are meant to be excluded factors during voting. Even a sweet song with the late-great Amy Winehouse couldn’t sway the judges to award him over Jay Z, Frank Ocean, and Kanye. It’s not an accurate representation of how artists and albums should be viewed. The same way more money, more women, more cars, doesn’t make one artist better than another. 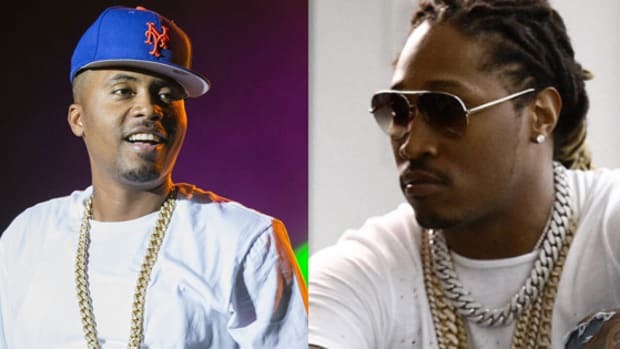 Jay Z having more GRAMMY’s than Nas should not give him leverage as the better emcee. When you’re playing your favorite Nas track you aren’t thinking, “This didn’t win a GRAMMY.” Not to discredit the award show but it should no longer or ever be a benchmark that measures worth. I don’t think the GRAMMY’s are always wrong, in 2003 when they awarded Outkast and Killer Mike Best Rap Performance by a Duo or Group for “The Whole World” over Nas and AZ for “The Essence” it was an extremely difficult pick. The winner should’ve been “Still Fly” by Big Tymers but that’s an argument for a different day. I can’t imagine the pressure of having to make the selection. No matter what, it’s impossible for the best to be picked every time. I notice a lot of new artists look at the GRAMMY’s as a place they want to be one day. It’s such a prestigious award, a lot of greats have been able to join the club and create the illusion that it’s a symbol of greatness. Great music speaks for itself, being stamped by an establishment that is notorious for picking the less adequate or leaving out worthy prospects is proof enough that the actual standards are different than our perception of them. Nas understands, he doesn’t dwell on what he doesn’t have, it’s an attitude that should be adopted by artists who seek validation from the GRAMMYs. It doesn’t make or break you. 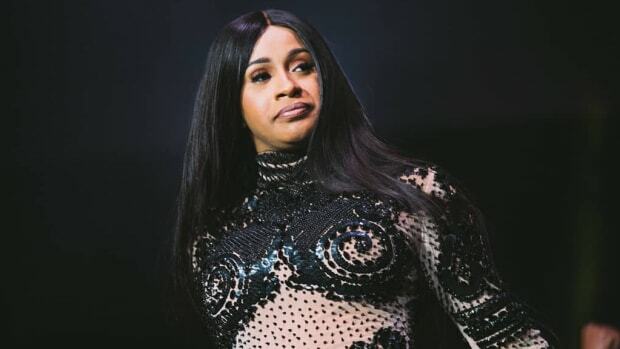 There will be countless musicians and rappers whose talent could gain them entrance into heaven but won’t be able to put a GRAMMY on their shelf. The same can be said about Oscar’s and actors, basketball players and championship trophies, football players, and Super Bowl rings being the best, or just being great doesn’t always mean being the winner. Losers also prosper, regardless if it’s acknowledged or not. 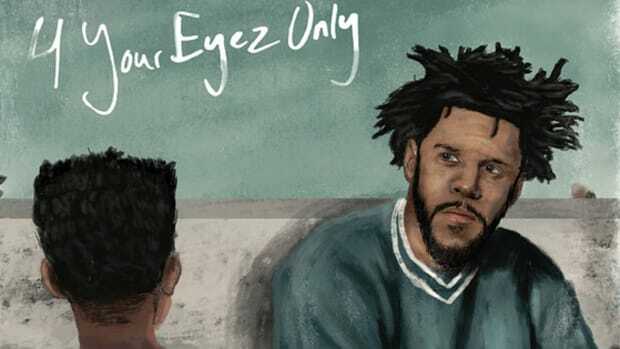 By Yoh, aka Dirty Old Yoh, aka @Yoh31. 35 Totally Serious 2017 GRAMMY Predictions: Who Will Win? The only predictions that matter.